This article was written by Nagesh Bharadwaj, Secretary of Federation Of Associations of Basapura (FAB) and an active resident of Concorde Midway City Apartments. FAB is an apex body for various apartment associations and RWAs in Basapura of Ward 192. Bruhat Banguluru Mahanagara Palike (BBMP) has 198 wards. One of them is Ward 192 — Begur ward. Each ward is supposed to have Ward Committee (WC) meetings. The Chairman of the WC is the Corporator and the Secretary is the Assistant Engineer (AE) of the ward. The WC has other members including some reserved for the citizens. The WC is supposed to work for the well-being of the ward. In order to make the WC more accountable and transparent a gazette order has been passed to make the WC meeting mandatory to be held every month suitably on the first Saturday of the month and a notice of the meeting to be given to public and invited for participation. In our ward we have formed a Federation of the Associations of Basapura (FAB) which is part of the Begur ward. Begur is a huge ward comprising of almost 110 villages and one of the biggest wards of Bangalore. After the gazette order we at the FAB were keen to participate in the WC meetings. We had already sent many petitions and have been working with Corporator for the betterment of our area. So this WC meeting was a great opportunity for us to push for these issues to be resolved. The first public WC meeting we had missed at Begur ward as it was not held. So we did not want to miss the second such meeting in the month of January. New beginnings were in the air as the New Year had begun and we started earnestly with requesting the Secretary and the Corporator regarding notice for WC meeting. The secretary informed us that the meeting would not be held on first Saturday as the Corporator was out of the country but would be held on Second Saturday of the month. Our skepticism grew strong as we thought this was an attempt to throw us off the meeting. We did not expect govt officials to hold a meeting on a second Saturday which is government holiday. Days passed and we did not get the notice of the meeting and our calls to the Secretary and Corporator were not responded as both the officials were on leave. 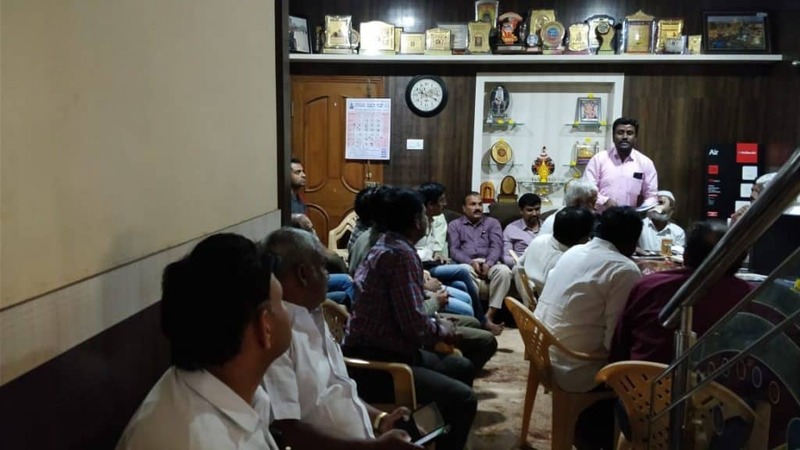 At this time, the Citizens for Bangalore forum helped by chasing down some of the officials of WC who were in-charge in the absence of the chairman and secretary. We finally got a notice of the meeting which was bare in its content with no set agenda and also not even signed (perhaps as the secretary was in leave of absence). On the second Saturday at 10 am some of us from FAB went to the meeting venue which was also the home office of the Corporator. The Corporator was seeing many visitors with various grievances. Some ladies had come requesting for tailoring machines to be granted, some were looking for cycles to be given away as part of various schemes of the BBMP. There were some lengthy discussions with some gentlemen on how to proceed further on providing roads and drainage to some villages. There was some retort on all whether all the tarring work can be done before the Loksabha elections. There were some other discussions regarding Khatas to be given to some poor. Corportator suggested that a Khata Mela to be held and they can be helped without having to give any “convenience fee”. The corportator got many calls and was directing some others to do such and such work. It was a busy Second Saturday morning that too a government holiday. This went on for another hour and it was almost 11 am. At this time the Corporator arranged for some snacks, breakfast for all that had come for the meeting. After a brief introduction of all present, we noticed that were more citizenry than the officials. There was the assistant health inspector and the assistant executive engineer for solid waste management that had attended the meeting, most other departments were not present perhaps as it was a holiday. 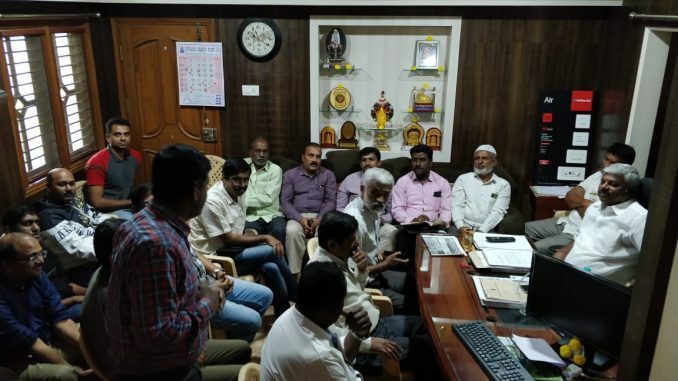 We discussed all the issues that were needed attention and the Corporator was patient and called the contractor for street lighting and asked him to fix the issues we had. Then he obliged and made a call to the ACP of Bangalore South traffic police as we were having major traffic jams on the Hosur road. For Basapura local residents our points of entry and exit were getting clogged. To solve this a meeting was fixed for Sunday with ACP. Issues regarding inappropriate sewage and garbage disposal were promised to be taken up. Recently tarring of roads were done in our Basapura village and we thanked the WC for it. In all, the meeting went well and the issues were discussed openly and promises were made to resolve them. It remains to be seen in the subsequent months whether the promises will be kept or not. The WC meeting should be more organized with proper agenda and all related department officials mandated to be present so that they can directly get feedback in WC about the work they are doing. We also got feedback from Corporator. He went on to say most of the people in apartments do not vote. It is true the apartments have become islands. They are islands of relative prosperity compared to the villages around, islands of ignorance regarding local governance inspite of greater literacy, islands of immigrant population who perhaps do not want to involve themselves in local issues, islands of irritation as believe none is solving their problem. It is us, who live in these islands of apartments that need to do more for the communities that we live in. We need to participate in our democracy and the growth of our area, state and thereby our nation. First is, we need to register ourselves and vote. Then we need to participate in these forums such as WC meetings to express and participate in the process of democracy that is made available to us. The Corporator and the WC are participating, they are doing something, however small it may be. What are we doing for our community and our country? Our country and our community will grow and be better only when we participate and ask for more. Great efforts Nagesh for the betterment of the Basapura and its surroundings, you really get hold of the govt. Officials.